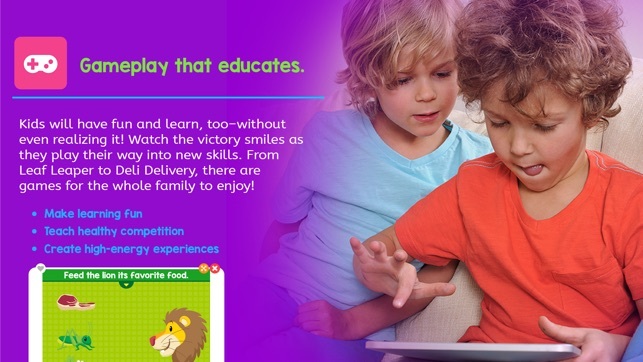 Anywhere Teacher, designed for children ages 2 to 8, connects kids with a huge variety of choices - books, games, videos, flash cards, music, and more - it’s a multisensory learning experience that keeps kids coming back again and again. 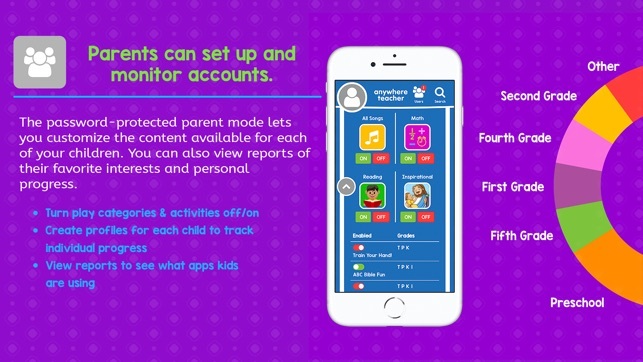 The intuitive interface and menus, combined with password-protected parental controls, make it remarkably easy to tailor activities to each child’s needs and to zero in on age-specific skills in reading, math, spelling, and more. 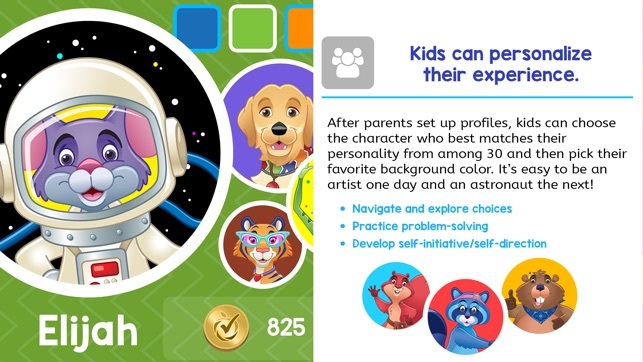 Kids can access it from different devices at the same time – even a classroom – using unique and playful avatars. 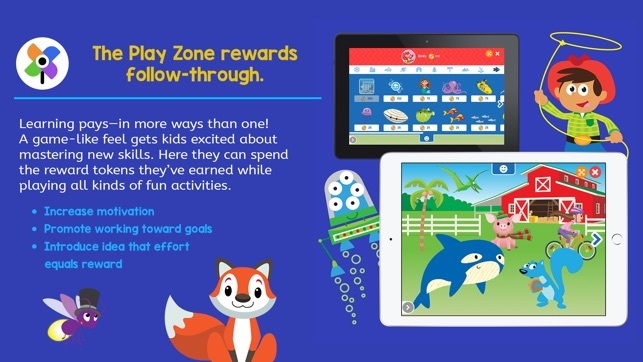 With each round of play kids develop skills and confidence that help create a lifelong love of learning, and every activity earns reward tokens to spend in the Play Zone! This increases motivation and promotes working toward goals. A safe, secure, ad-free environment makes it worry-free. Download the free app and explore the high-quality, educational content. Or subscribe to get unlimited access with new content added weekly. Plus, get membership rewards! 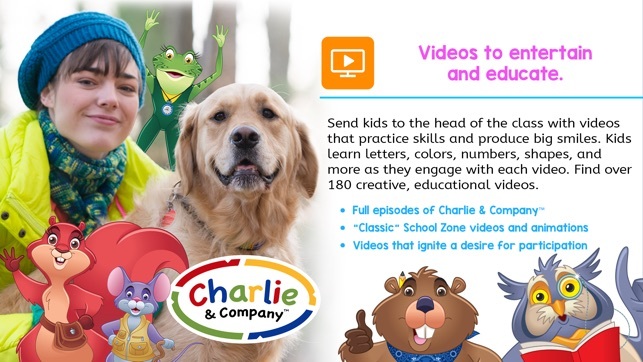 • Videos - Original and entertaining videos teach children early learning skills including letters and numbers, shapes and colors, words and phonics, health and fitness, and more. 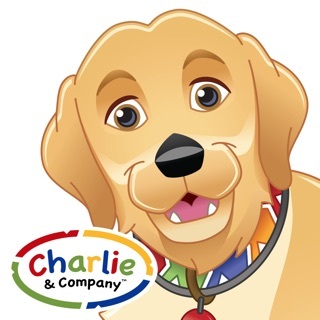 • Original Preschool Series, Charlie & Company - Starring a golden retriever named Charlie and his Anywhere Teacher, Miss Ellie, this live-action/animated series inspires curiosity, nurtures a love of learning, and empowers preschoolers with the skills they need to succeed in school. 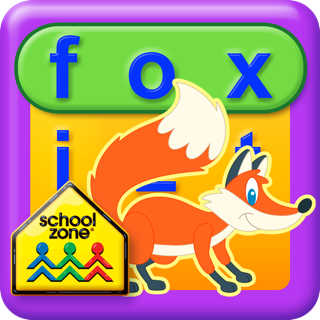 • Games - Fun for kids, while instilling a sense of pride and accomplishment, learning games sharpen spelling, math, and reading skills. 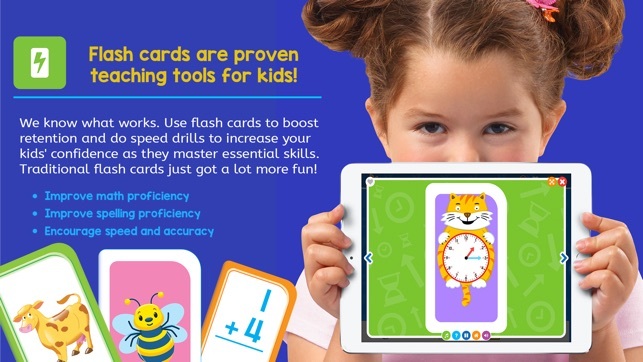 • Flash Cards - Quick, easy, and self-directed, flash cards combined with sound and motion prove virtually unbeatable for boosting retention, reinforcing skills, and improving speed. • Books - Start to Read! 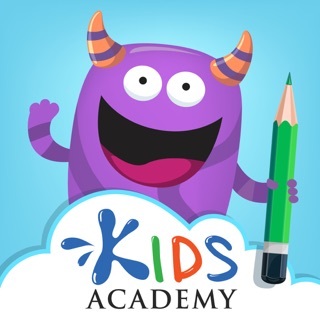 stories help kids learn to read with charming storylines and relatable themes. 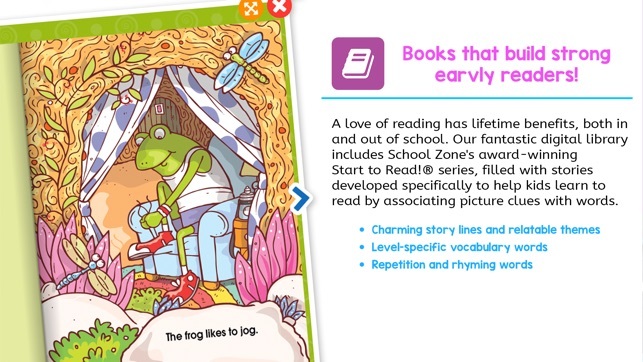 Level-specific books feature read-along audio, rhyming, words, and picture clues perfect for early readers. 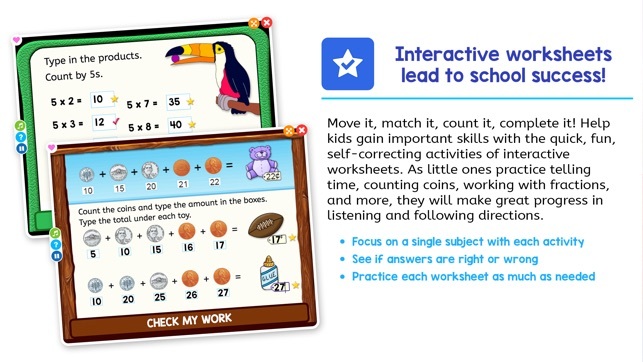 • Interactive Worksheets - Use examples, audio instructions and self-correction, and give instant feedback to create a focused yet fun and motivating experience. 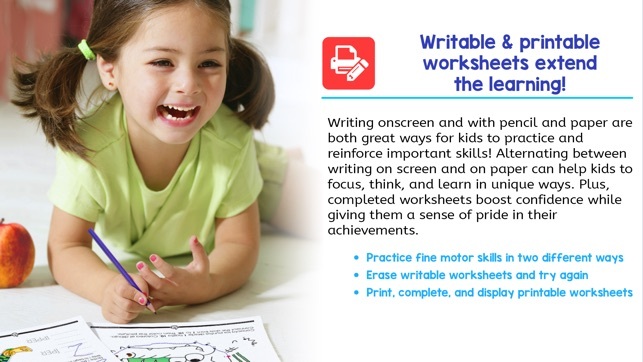 • Writables and Printables - Give kids practice with onscreen writing and also with pencil and paper. Each is important, and both build focus, confidence, and fine motor skills. 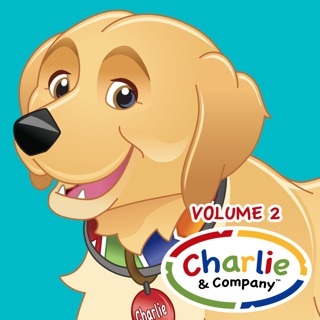 • Music - With original songs by acclaimed singer-songwriter Brian Vander Ark of The Verve Pipe, kids can explore the spectrum of musical styles, from hip-hop and rock, to folk and country. When you sign up for the Anywhere Teacher Subscription you will be charged directly on your iTunes account. Your subscription will be automatically renewed on the same day each month or year depending on the plan you choose. An annual subscription offers savings of more than 25%. Subscription automatically renews unless auto-renew is turned off at least 24 hours before the end of the current period. Account will be charged for renewal within 24 hours prior to the end of the current period. Subscriptions may be managed by the user and auto-renewal may be turned off by going to the user’s Account Settings after purchase. Any unused portion of the free trial period will be forfeited when you purchase a subscription. You will be able to create an account at any time to access all features from your other iOS devices. membership reward gifts for kids and news of offers and updates! My daughter loves the Violet and Autumn videos! We do some of the activities and watch a couple videos every evening while we wind down for the day. Our favorites are Autumn's lesson in the kitchen and there's a brain in there. I really enjoy this app for my son! We do flash cards before bed and he loves the games as a reward. My child is a preschooler and it captures his interest. A lot of positive reinforcement even from the app! He enjoys it very much I am glad I invested in this app. I would give this a 5 star if they would fix the issues! My son loves it and it really helps him in the areas he needs practice in first grade! But he plays it for about 10 mins and the whole screen goes white. I have to completely close out of the game and go back into it for it to work again, only for it to go white again.